Party People!!!! 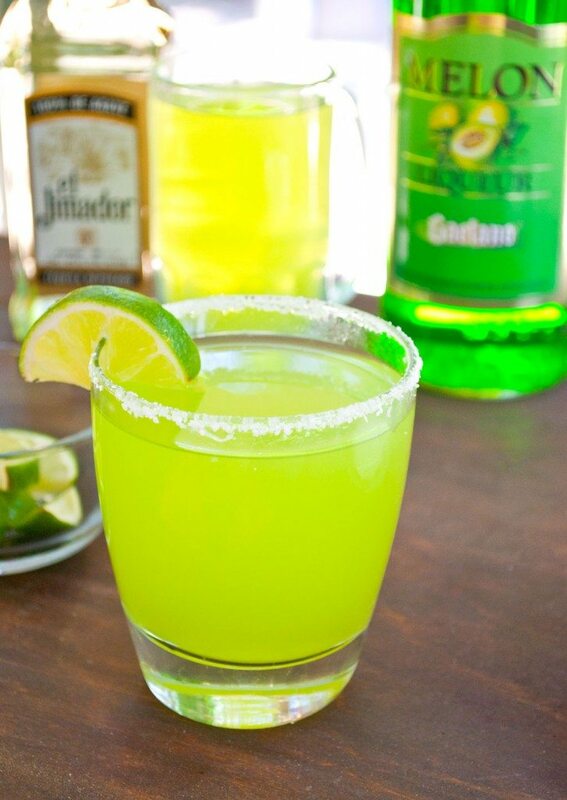 It’s margarita time! So, there is a bar around these parts that is very close to the beach, and ever since I was 16 yrs old (yes, 16!!! Hello vice!!!) I’ve been going there and getting a top shelf/texas margarita with a salted rim to cool my cucumbers after a long day of steeping in the southern sunshine. I could guzzle back four of those puppies and be absolutely 100% perfectly content. I mean, who wouldn’t be? Four margarita’s after a day in the sun? Yeah…that was before I got old and started waking up with a brain splitting headache after just one (or two…or three…or four) peasly little glasses of wine. GAH! Those were the days! Little did I know I was also easily consuming what, like, 1,600 calories or so for those pint sized pours? Jeez, louise…those really were the days! Well, don’t worry your precious little hearts because this drank is no where near that crazy amount of calories and it tastes just as good…or even better, actually. I have developed a drink that is practically perfect in every way. Low in calories and high in flavor and alcohol content! Those are the only requirements, right? 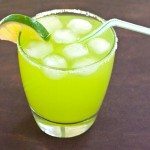 These margaritas are sweet and salty all at the same time and are the perfect quencher for your alcoholic thirst. My favorite part about these is that there is absolutely *no* high calorie/high sugar sour mix added…AT ALL. I can’t stand the stuff and usually try to avoid it at all cost, so I’ve replaced it with Crystal Light lemonade instead! 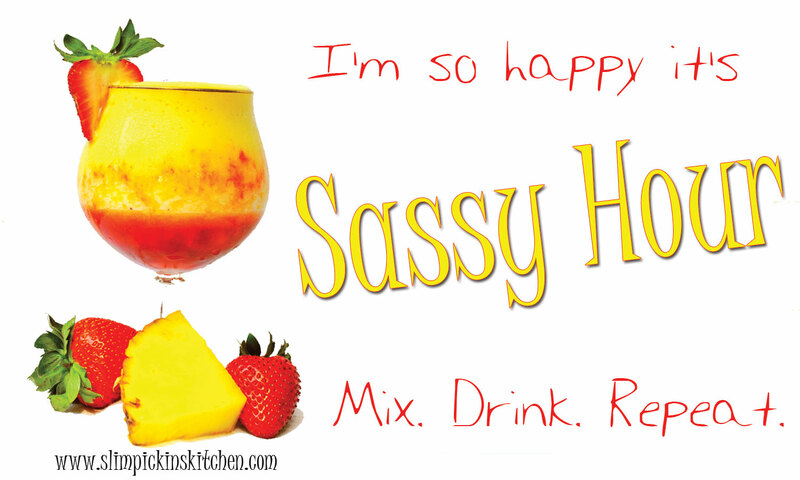 Now, if you’ve been reading my blog since it started then you know that I really don’t like lemonade either…unless there’s booze in it…like in this and in my Pink Peach Lemonade. That is the only way lemonade will ever touch these lips. And you better guarantee I’m taking a gallon jug full of this stuff with me to my pool party date with Twin tomorrow. Oh, yeah…one more thing… margarita’s are also the most perfectest drink ever for me to be making today b/c it’s my dad’s favorite drink. Happy Father’s Day, Daddio! Was there a place where you could get things underage when you were growing up? What’s your favorite Crystal Light Flavor? What did you/are you getting your dad for Father’s Day? 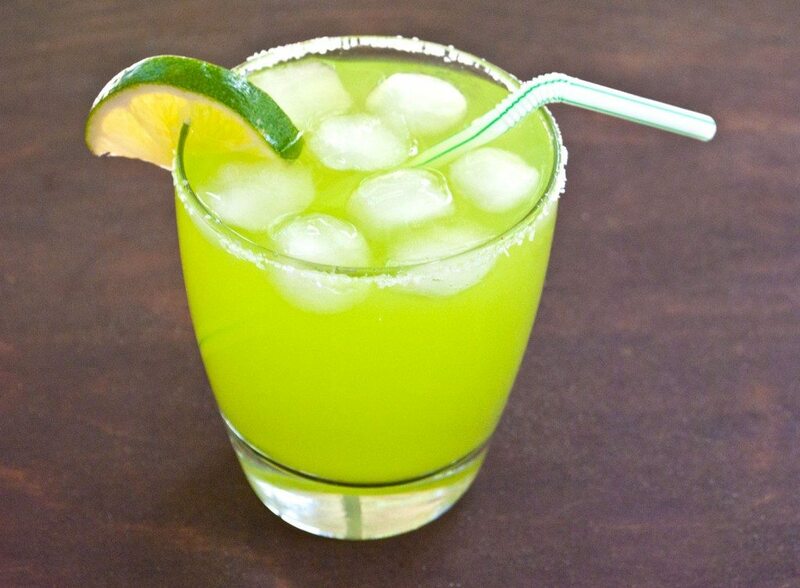 Pour tequila, melon liqueur and pineapple juice in a glass rimmed with salt and filled with ice. 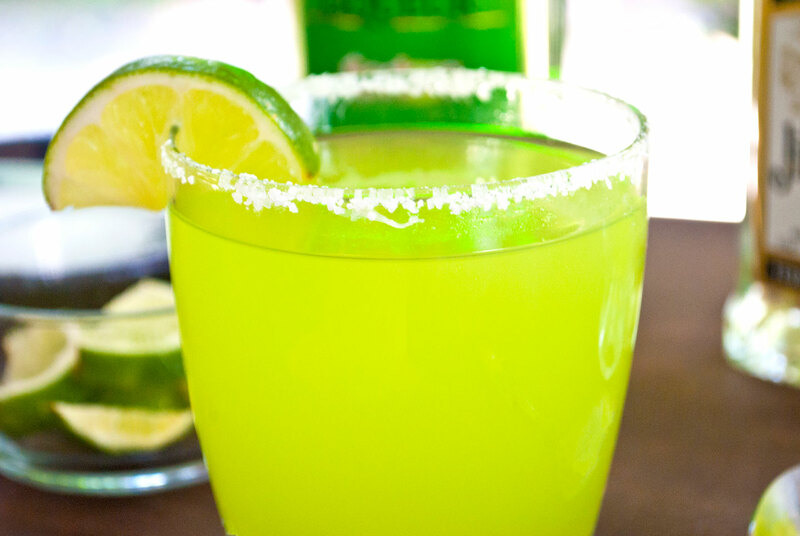 Top off with lemonade, squeeze in the juice from one or two lime wedges, and stir. 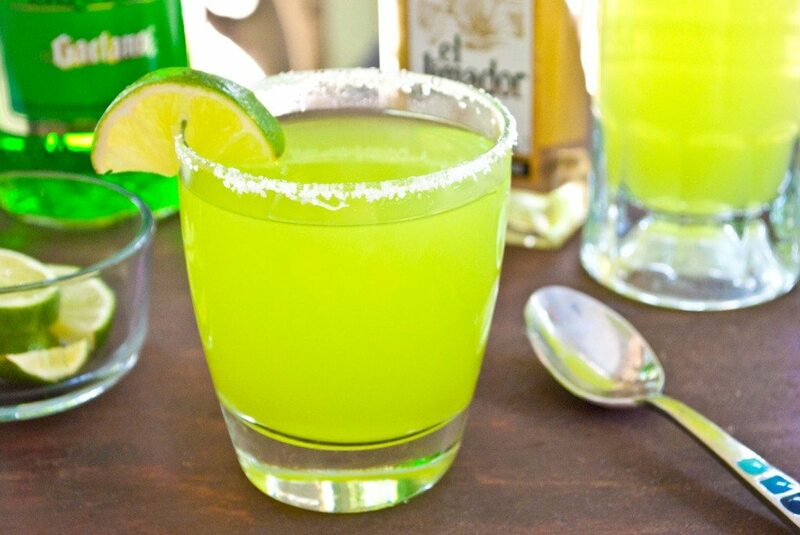 I’m not a drinker but margaritas are the one drink I can make an exception for! This looks like one I could pound back…er…daintily drink. These are soo friggin’ good too! I sat by the pool drinking these all day yesterday and it was pure perfection! It’s good I’m having one now, your recipe! I have to say that I’m spoiled. Love my traditional Margarita made with Cointreau, Grand Marnier and Gold Tequila. I use the “taboo” Margarita mixer but I use the Trader Joe Brand and it is only 45 Calories per serving and no artificial flavors or preservatives.